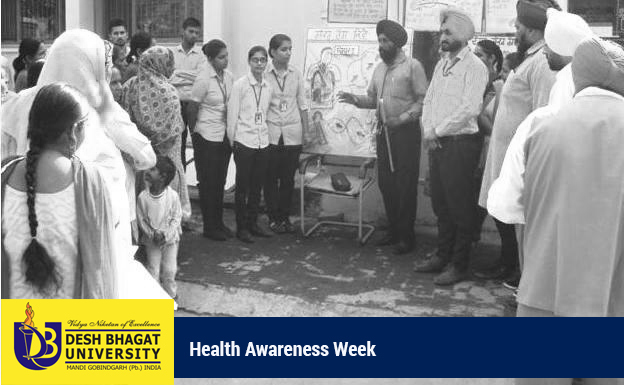 Desh Bhagat University Faculty of Ayurveda & Research and Faculty of Nursing organised a Health awareness week. Under this week long programme, the students of both the faculties took part in different activities. The students organised a rally and went from door to door to make the people aware against Drugs, Diabetes, Cancer, Epilepsy and other different diseases. Colorful banners and placards with awareness messages were carried by the students to educate the residents against the ill effects of different drugs and tobacco products. 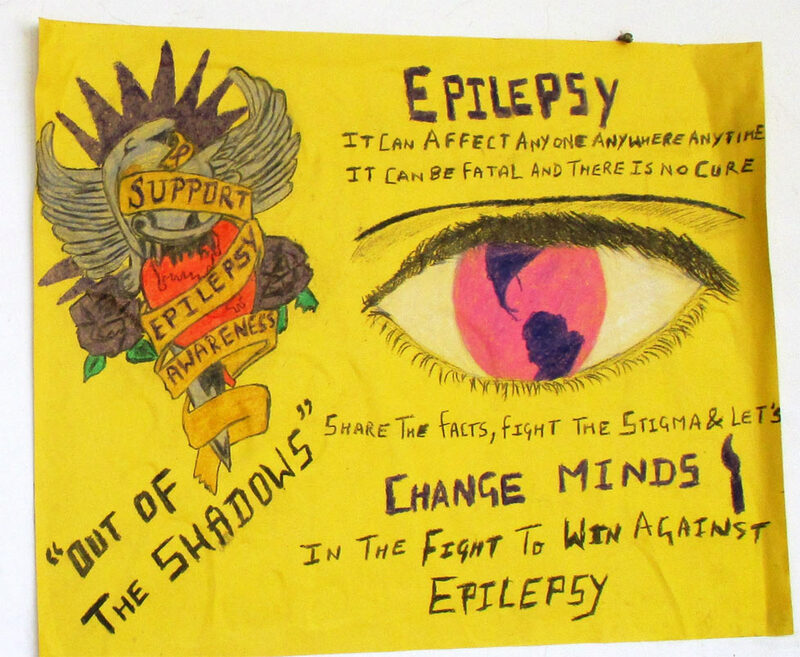 Director Faculty of Ayurveda & Research, Dr. Kulbhushan and Principal Dr. Smita Johar said that on World Epilepsy Day, students also participated in painting and quiz competitions. Shivkanya, student of BAMS 3rd year stood first, Arshdeep of BAMS 3rd year (Prof.) stood second and Honey Kumar of BAMS 3rd year (Prof.) stood third in Poster Making Competition, they briefed. 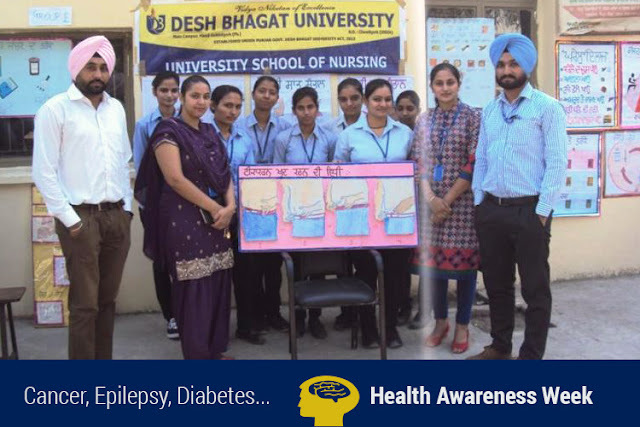 Director Faculty of Nursing Ramandeep Dhillon said that the students distributed pictorial pamphlets to spread awareness among the local residents and surrounding areas and motivated them to keep away from all kinds of drugs and also exhorted them to make others aware. The students also urged the people to keep their surroundings clean and green and grow maximum number of trees. In the starting days of the awareness week, the students visited different places to spread awareness against diabetes. Desh Bhagat University Chancellor Dr. Zora Singh and Pro Chancellor Tejinder Kaur appreciated the initiative taken by the students of both the faculties. They patted the backs of the students for working to enhance this noble cause. University Vice-Chancellor Dr. Shalini Gupta also appreciated the move and said that such programmes are very helpful for the people, especially for the rural area people in making them aware.